Showcase your beach-themed style with the Blue Oasis Standard Sham. This beach bedding is designed with vibrant, wide horizontal stripes with ripple-like stitching. Ships from the manufacturer. Allow 1 to 2 weeks. Cannot express ship. 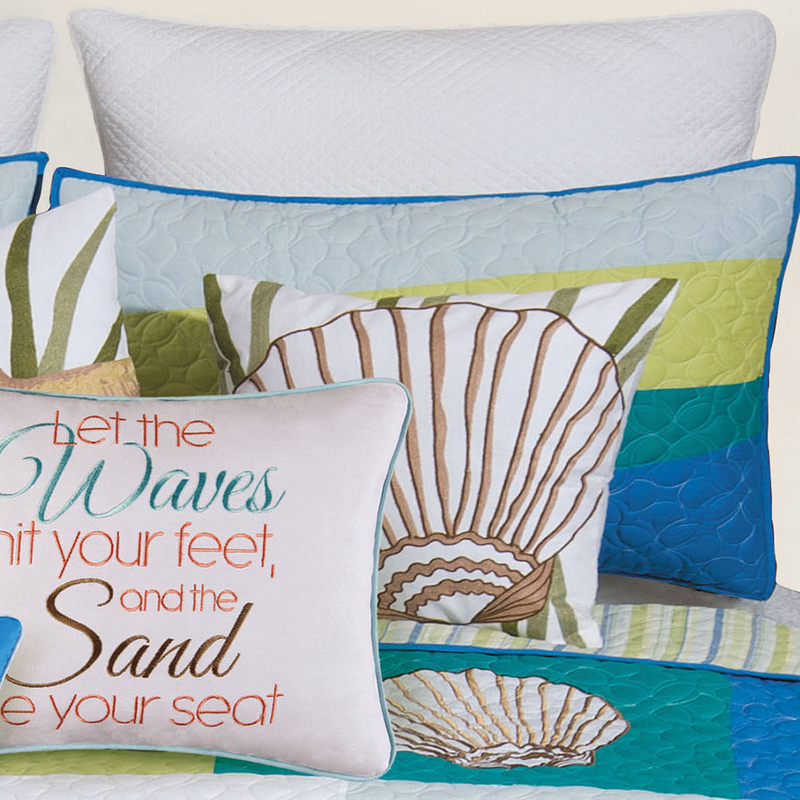 For additional items, we ask you to take the occasion to explore our entire assortment of beach bedding at Bella Coastal Decor today.